Garden City, New York, USA. March 9, 2019. 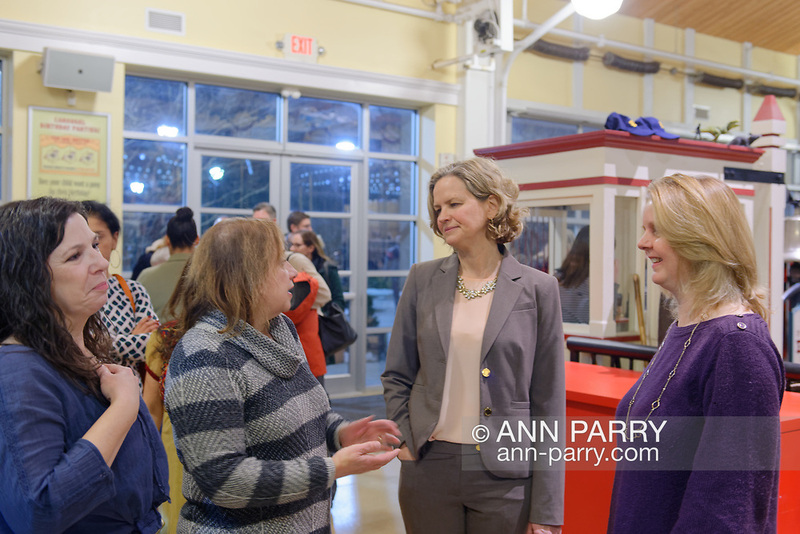 L-R, Jean Smyth-Crocetto, Karen Montalbano, Nassau County Executive Laura Curran, and Nassau County Legislator Debra Mulé (5th L. D.) chat during Unveiling Ceremony of Michael White's mural of Nunley's Carousel lead horse. Event was held at historic Nunley's Carousel in its Pavilion on Museum Row on Long Island.